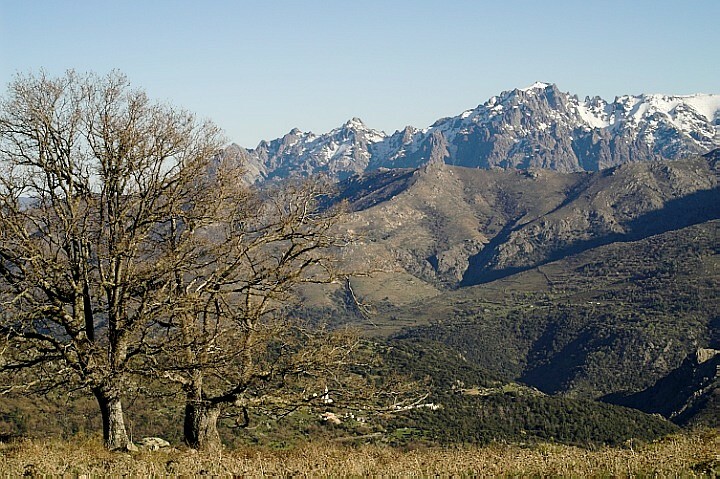 This majestic mountain is probably Monte Padro (Monte Padru in Corsican; 2390 m). I took the photo in April 2006 from a pasture on the mountain ridge between Bocca di Bataglia and Monte Tolu (1332 m), close to the Sentier l'Ile Rousse - Corte. That small tower far in the valley belongs to the church of Olmi-Cappella.